Gov Bruce Rauner, Republican of Illinois, vetoed a bill Friday that would have required Illinois elementary schools to teach cursive writing, according to the Illinois General Assembly website. 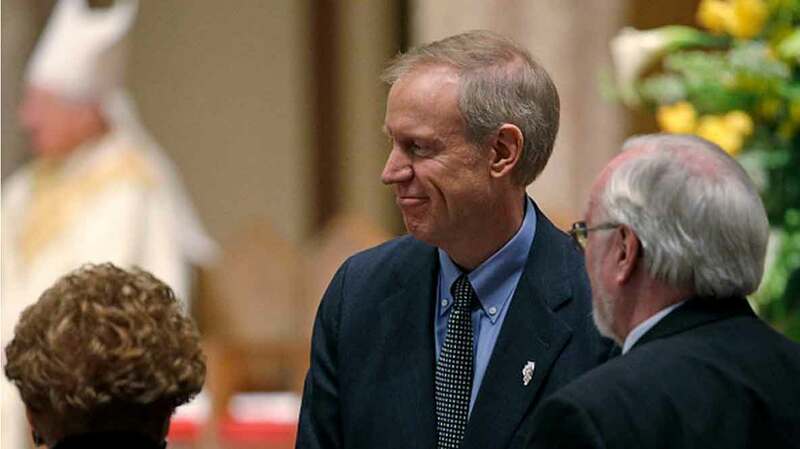 In his veto message, Mr Rauner said the legislation is “yet another unfunded mandate” for schools that doesn’t protect students’ health or safety, WLS-TV (ABC affiliate, Chicago) reported. Some proponents of the bill said it would enable students to sign documents, write personal notes, and read some important historical documents as they were written and in the hand in which they were written. Schools would have been required to provide at least one unit of instruction in cursive writing to all students by the end of fifth grade, beginning in the 2018-19 school year. I agree with Mr Rauner that this was another “unfunded mandate” that would have been imposed on schools. An “unfunded mandate” is a requirement from the government that doesn’t come with any money but would require schools to spend money. Imagine you’re the superintendent of a school district and the state government tells you that your fifth graders have to be taught at least one unit on cursive writing. So, you purchase class materials to help your teachers teach this unit and possibly send them to a professional development seminar so they can bring the best practices for teaching it back to their schools. Mr Rauner suggests that unfunded mandates that don’t have any positive impact on students’ health and safety should be avoided, and I agree, as far as that goes. Legislatures should encourage schools to teach important lessons. I would add that any mandate should come with funds attached, but that is not always possible, particularly in Illinois where schools barely get enough money to keep their doors open, let alone teach cursive writing. But, even though cursive writing skills may be no better than printing as far as what kids need to learn in today’s tech-abundant world, I can imagine a curriculum where the state might mandate instruction. One would be body safety, sexual abuse, and so on, as argued two years ago in Maryland and in 2013 in Illinois over Erin’s law, for instance. As a rule of thumb, though, governments should avoid unfunded mandates that can’t demonstrate a positive impact on student health or well-being. Schools generally know what that is more than all the governors and state legislatures put together, and I hope they act, either sua sponte or under directive, to teach those important lessons to kids.